You don't want to miss this! She has amazing items in her giveaway. I love to spend some time in her site. So relaxing!!! Dead line is 09/09 at 12 noon EST. I really do feel honered. I'd like to thank Mama Such at Raising My 4 Sons sharing this wonderful awards with me. Whenever stop by her site and see her banner, can't stop smiling! What a nice picture! How cute are they! *TheAcknowledge the person who gave you the award *List 7 Personality Traits about yourself*Pass the award on to 7 other blogs that deserve recognition for the personalities that they share with the blogging world. Sometimes it helps to be a bit childish, if you're really stressed out with work, or if you're out to have some fun. My son Aria jumped off the diving board on Friday. 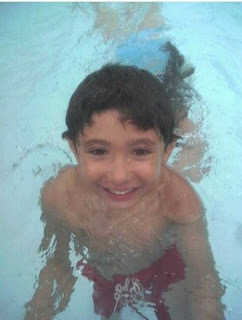 He loves swimming and his swimming class. 2nd season will start tomorrow. He'll be in level 3! But I know how to lighten him up. 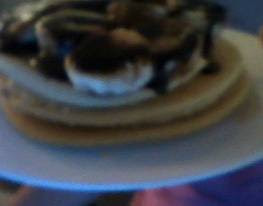 Banana Pancakes!!! We changed the plan and decided to take him to see the movie,' G Force' which he kept on asking about it. 1 cup of pureed banana. Beat the eggs then add milk and oil. Add the sugar, the flour,the banana puree, vanilla, cinnamon, the baking powder then mix thoroughly. Cook both side until brown on a heated skillet. Something is wrong with my camera. I used the webcam. Sorry, this is not a good shot. She is a great friend and I love to read her side. I woke up this morning. I wasn't feeling so energetic. Also a little confused. I had a hard week. So today is Saturday. Needed to hear or do something which makes me feel better to welcome this weekend. I made a coffee. Added hazelnut cream (extra :)) and started to read new comments on my blog. So, here it is! Made me feel great early morning ;) What a great start! Now time to share some love!!! Sheila at Runing' Late Again! What makes food fun to eat? Any suggestion? Today I'm searching how to make food, especially veggies fun to eat. Your ideas will help other moms too. -Dipping and scooping – it is fun for them to dip or scoop their food into another food. -Kids enjoy taking matters into their own hands by adding things to their food such as sauces or toppings. 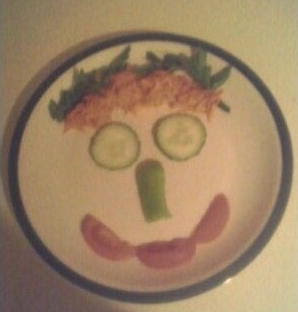 My son is 7 years old and he says he doesn't like silly faces anymore ;) He likes some veggies. Raw carrot, bell pepper, cucumber and lettuce are his favorites. Tomatoes! He eats if they are raw. 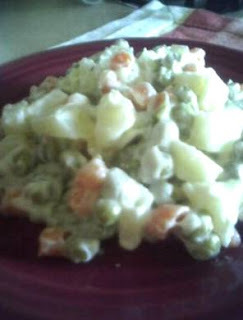 Also eats peas and green beans when I served with pasta or rice. He used to eat broccoli but not anymore! -Finely chopped veggetables can be added to ground beef, egg, hamburger..
-Another recomendation is to have the child to help pick out vegetables at the grocery store and help prepare them. We will stay at home and BBQ today. Also I made this yummy salad. I'm trying to reduce the amount of sodium so rinsed peas and carrot very well. Actually, I don't usually add egg but pickles goes great! It was a bad week. First, I got cold then my hubby! Thanks God we both OK now. I'm so sorry that I couldn't place my new award on time. I would like to thank Pink Note at Pink Notes Diary for being so thoughtful in passing this award to me. 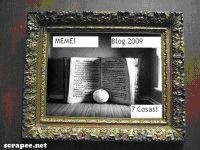 I love to read her blog. It is great to have new friends everyday. 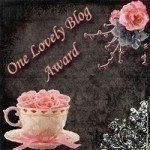 After grabbing please make a post of this award on your blog then link the person who gave the award to you. Also you must pass this award on to bloggers you choose. I love mushrooms and knew they were healthy but until I decided to do some search, I didn't realize how much imported they were to our health. Also I learned that mushrooms were one of the first herbal medicines used to inhibit many condition like tumor. 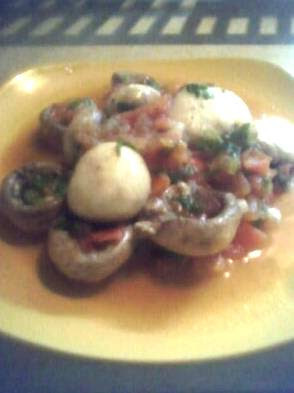 Mushrooms are great sauce of mineral content. They can have a positive effect on gall bladders. In fact, they are an excellent source of iron, selenium, potassium, phosphorus, riboflavin, pantothenic acid, copper, and zinc. Also may help to prevent breast cancer. They are high in antioxidants. Niacin-rich foods like mushrooms increase risk of hearth disease, stroke and osteoartritis. This is my favorite lunch! With a slice of whole wheat bread. Put mushrooms in a pan. Add olive oil. Cook until softer. Then cook a few more minutes. 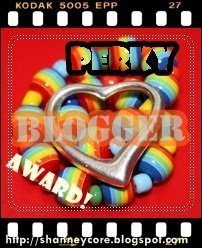 My next post will be about Perky Blogger Award.